CALL US (573) 552-8488 24/7 Emergency Service Available! 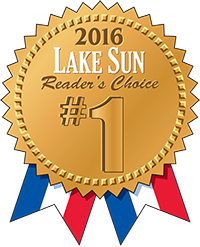 Since 2008, Catalyst Electric has provided superior, code compliant electrical services to the Lake of the Ozarks area and surrounding communities including Camdenton, Eldon, Versailles, Laurie, and Sunrise Beach. 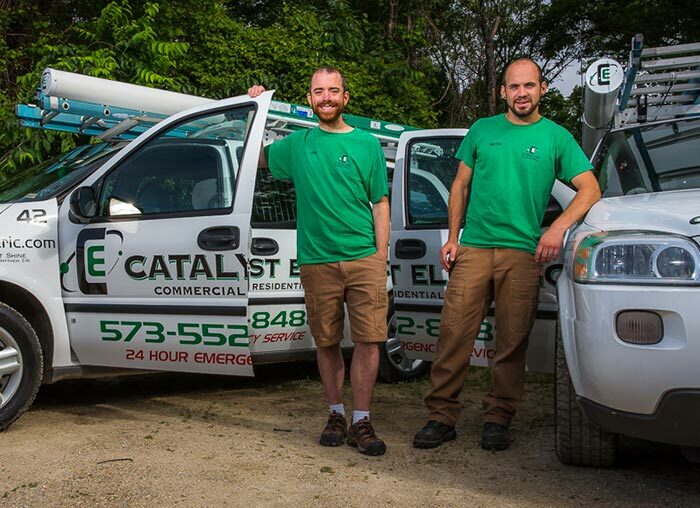 Catalyst Electric is owned by Master and Journeyman electricians licensed in Jefferson City. Our team is well qualified to service all facets of electrical systems. We service commercial and residential customers around the area! Though we pride ourselves as being the best local electrical contracting company, we possess the capability to successfully complete large scale projects all over the country. 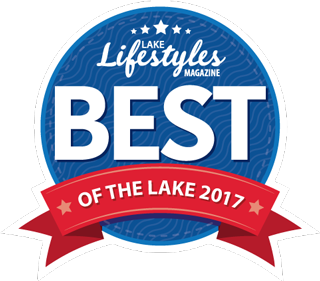 In 2008, Catalyst Electric was created to provide superior, code-compliant electrical service to the Lake of the Ozarks area and beyond. The business is co-owned by Master and Journeyman Electricians licensed in Jefferson City who are well qualified to service all facets of electrical systems. 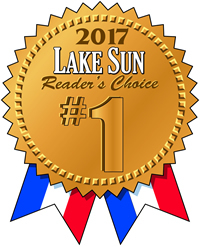 Catalyst takes pride in being the premier local electrical contracting company, affirmed by a Readers’ Choice Award for “Best Electrician” in the latest Lake Sun Leader poll. Catalyst Electric runs their company on the belief that integrity pays the bills. 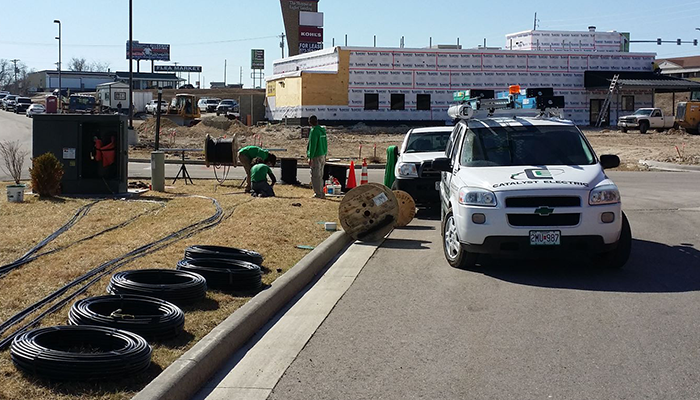 While all companies have the opportunity to do the job correctly, Catalyst Electric considers that opportunity a necessity. They consider every customer a relationship rather than a cash register, and that is why word of mouth referrals are their best advertisement. Whether it be commercial or residential, Catalyst Electric can help! Catalyst Electric provides service to all areas of the electrical system. From new residential and remodel, to commercial and industrial systems, Catalyst Electric has serviced them all. We have done lighting retrofits in large commercial applications. We also provide technical service for LED billboards and communication tower repair and maintenance. Catalyst Electric can add an outlet in your home, or back the entire home up with an automatic generator. 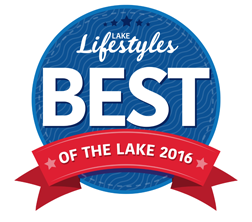 We have wired many new docks, as well as bringing many old docks to current safety code.